Bohemian Rhapsody, the Oscar-winning biopic, debuts in China with references to Freddie Mercury's sexuality censored. In the Chinese version of the film, several scenes have been amended or deleted. Explicit and implicit references to Mercury's sexuality were edited out, including an important scene in which he comes out to his then-girlfriend. Chinese fans who saw the film over the weekend, but had previously viewed the original cut, told that some crucial scenes were completely absent. 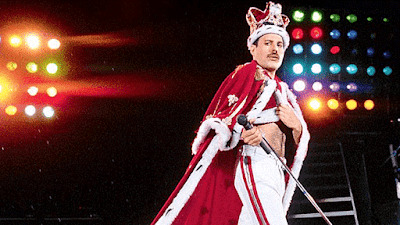 The whole film is about telling the audience who Freddie was, and sexuality is a very significant part of his identity, which has been completely removed. Chinese version is seriously and obviously out of context, where many scenes in the film now don't make any sense at all. By Jack Ross: He was gay here in the UK. Trust me.